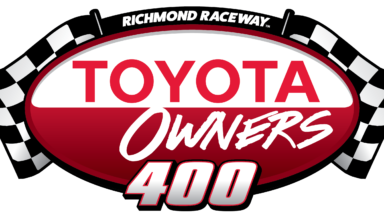 The Toyota Owners 400 is scheduled to begin on Saturday evening, April 13 at 7:30 p.m. ET. Live coverage can be found on FOX, PRN and SiriusXM NASCAR Radio. “I thought it was three good runs. The car had a good bit of rear grip to it, which has been our struggle, so I’m really happy that today’s practice run and the qualifying runs today showed us that the car’s got the grip level. Now we just need to make sure the balance stays with it. “We’re just trying to be more consistent and not have any weak areas. And, I think the changes they made, we’re trying to adjust to the weaker areas. So, that should help us. DID YOU LEARN ENOUGH IN THE ONLY PRACTICE WE HAD TODAY? “We’ll do what we can. With the way the set-up was, you always hope that doesn’t burn off the right rear tire too soon. YOU LIKED THE 5 MINUTES? DO YOU HAVE BUTTERFLIES OR ENTHUSIASM AS THE BOSTON MARATHON APPROACHES? HOW MUCH MORE STRESSFUL OR MORE INTERESTING WAS THE 5-MINUTE QUALIFYING? “It didn’t make a difference to me because we were pitted towards the Turn 1 side of things, so we were the third car in line so I could just roll right out. But, I’m sure if we were on the backside of that order, it would have been more stressful. So, yeah, it didn’t make a difference for me.